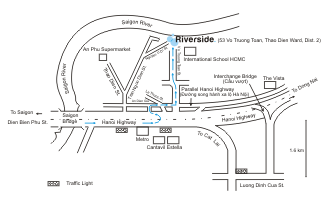 Riverside is located in the heart of An Phu, Thao Dien Ward, District 2. An Phu is 20 minutes from District 1, the city centre of Ho Chi Minh City, Vietnam. District 2 is the most popular choice for expatriates living and working in Ho Chi Minh City and has subsequently become a supportive and thriving community. Riverside is proud of its 15 years of experience in the residential lifestyle domain at the service of the expatriate community. We are located on the banks of the Saigon River and are the only residence of our type to enjoy such pristine positioning. Each group of apartments faces the river whilst overlooking our expanse of green grass and tropical gardens. Within our lifestyle complex is an international restaurant – blu Bar & Grill, a convenience store and beauty care centre. And within a short perimeter you’ll find a myriad of restaurants, and parents particularly enjoy access to the British International School, International School of Ho Chi Minh City and a number of childcare, sports and playgroup options. Click here to view Google Maps of Riverside. Learn more about on site international bar and restaurant, blu Bar & Grill (particularly their world famous bloody mary's!). Located within the facility for those last minute shopping needs. 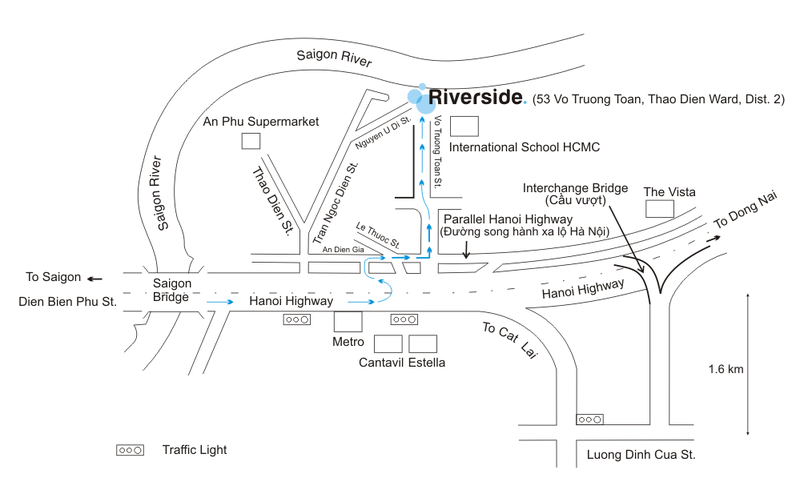 Explore Riverside's surrounding community and the destination of Ho Chi Minh City and Vietnam.